← Once bitten, twice shy? Uhm… No. Humans often ask dogs to speak. SO, here we go: Pay close attention to what I’m saying about the last-minute move made on 30 June 2012 by PA’s Senator Chuck McIlhinney, R-10, in which he successfully attached to PA’s fiscal code (SB1263) a partial moratorium on shale gas development in PA’s Bucks and Montgomery Counties. Please take the time to read (and share) this important twist in the Marcellus mayhem. To be brief: Even though Senator McIlhinney recently voted in favor of state-wide drilling, impact fees, and the dissolution of all counties’ local ordinances in PA that limit or ban hydraulic fracturing but who want impact fee monies under PA’s Act 13, McIlhinney has now led the provision that Bucks County and Montgomery County will be exempt from that very same Act (see text below). 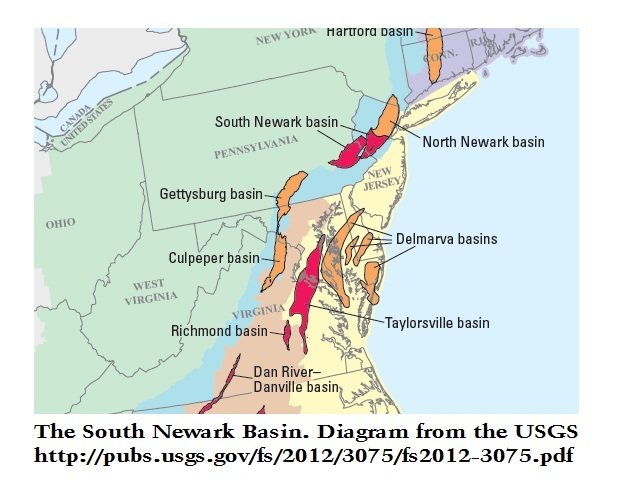 Read the entire USGS report about the recoverable gas under Berks and Montgomery Counties in PA at http://pubs.usgs.gov/fs/2012/3075/fs2012-3075.pdf. BE SURE TO NOTE: This is NOT a new discovery, as McIlhinney stated that it was. The only new news is how much gas there is, not that the gas exists. No other counties have been granted the exemption from Act 13. They must all give up their municipalities’ rights for zoning oil and gas development under Act 13– except for Bucks and Montgomery Counties. Where is the protection for the rest of the state? It is undeniable that exempting two out of 67 counties is “not fair.” It is also more than odd that the two exempt counties just happen to be home to many important politicians. For example, DEP Secretary Michael Krancer has ties to Montgomery County, and he makes his home in Bryn Mawr, Pennsylvania. Also, Lt. Governor James “Jim” Cawley calls Bucks County home. 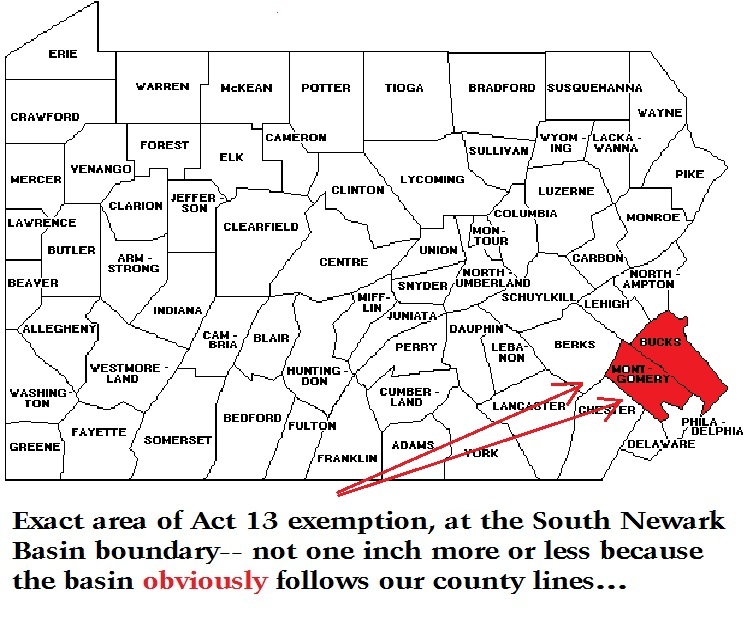 It is also undeniable that no comprehensive study was ever completed by PA’s DCNR on either the geology or the fiscal impact of unconventional shale gas development on the other 65 counties in the state. The Act 13 exemption for only 2 counties is a case of something being both good and bad at the same time. Instances of cognitive dissonance such as this (cf. Leon Festinger, 1956) are very difficult for most humans to handle. Humans tend to want to see something as either “good” or “bad,” and they generally have a ruff time reconciling issues that have one foot on both sides of the same issue. Me, though? 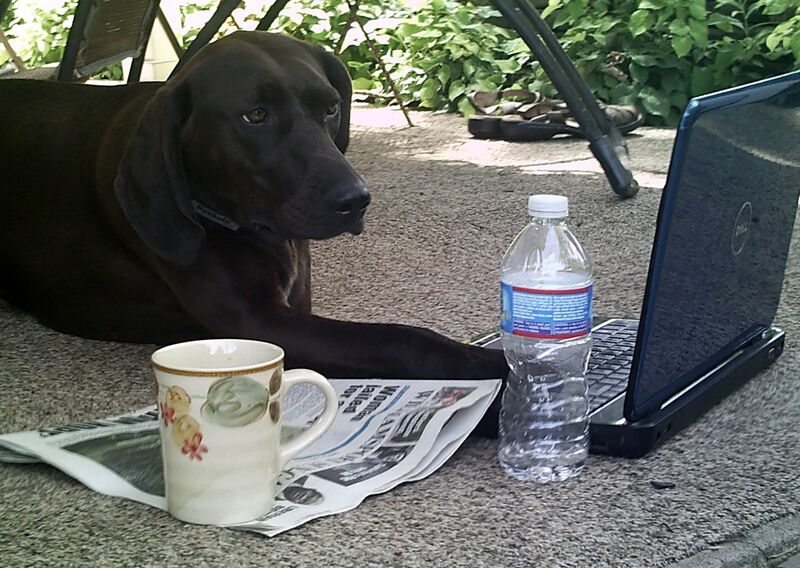 I’m a three-legged dog, so I tend to paw– toe, to you– the line. Moreover, when humans’ beliefs are disconfirmed– i.e., when a fracktivist is confronted with the notion that a ban on fracking could be bad because it is unfair–one way around the dissonance is to try to get as many humans as possible to believe the same thing that you do. No one should try to overturn the exemption! Instead, they should hold two beliefs at the same time: (1) The moratorium is unfair, and (2) the moratorium is good. 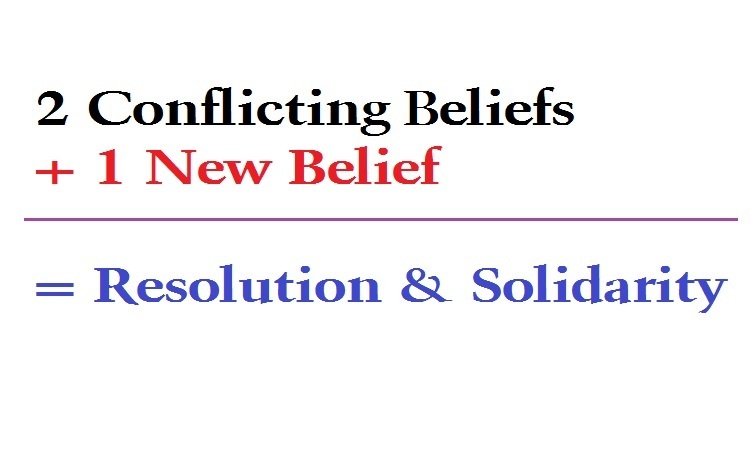 I can already hear you saying, “But this is impossible, Ada!” So, here I’ll clue you in on what Festinger said would resolve cognitive dissonance: You should add an additional belief. Namely, (3) The moratorium should serve as grounds to repeal Act 13 altogether. This clarifies the true issue at hand: It is Act 13 that is wholly bad. How to resolve cognitive dissonance. Don’t fall for the “divide and conquer” strategy playing out before your very eyes. Don’t waste your time trying to repeal a moratorium (after all, you’re fighting for a ban on fracking, remember?). Instead, join together to get that same exemption for the other 65 counties in PA– and, for Dogs’ Sake, use McIlhinney’s own logic as fuel to repeal Act 13, not as a reason to fight with each other! You’re not mad at the Vermont because it banned fracking, so why would you be mad at your neighboring counties?! Jealous, yes. Mad, no. Oil and Gas Operations in the South Newark Basin. 1607-E(A) LEGISLATIVE FINDINGS.–THE GENERAL ASSEMBLY FINDS AND DECLARES THAT: 1607-E(A)(1) THE UNITED STATES GEOLOGICAL SURVEY ISSUED A REPORT IN JUNE OF 2012, ENTITLED “ASSESSMENT OF UNDISCOVERED OIL AND GAS RESOURCES OF THE EAST COAST MESOZOIC BASINS OF THE PIEDMONT, BLUE RIDGE THRUST BELT, ATLANTIC COASTAL PLAIN, AND NEW ENGLAND PROVINCES, 2011.” 1607-E(A)(2) THE REPORT UNDER PARAGRAPH (1) REVEALED A MEAN AVERAGE OF 876,000,000,000 CUBIC FEET OF TOTAL UNDISCOVERED NATURAL GAS RESOURCES IN THE SOUTH NEWARK BASIN ASSESSMENT UNIT. 1607-E(A)(3) THE UNIQUE GEOLOGIC AND GEOCHEMICAL CHARACTERISTICS OF THE SOUTH NEWARK BASIN EVALUATED IN THE REPORT UNDER PARAGRAPH (1) HAVE NOT BEEN ADEQUATELY EVALUATED BY THE COMMONWEALTH AND ARE DESERVING OF FURTHER STUDY. 1607-E(B) WELL PERMITS.–THE DEPARTMENT OF ENVIRONMENTAL PROTECTION MAY NOT ISSUE WELL PERMITS UNDER 58 PA.C.S. CH. 32 (RELATING TO DEVELOPMENT) TO ENGAGE IN OIL AND GAS OPERATIONS WITHIN THE GEOGRAPHIC BOUNDARIES OF THE SOUTH NEWARK BASIN, AS DEFINED BY THE REPORT UNDER SUBSECTION (A), UNTIL ALL OF THE FOLLOWING HAS OCCURRED: 1607-E(B)(1) A STUDY IS COMPLETED BY THE DEPARTMENT OF CONSERVATION AND NATURAL RESOURCES, IN CONSULTATION WITH THE MUNICIPALITIES LOCATED IN THE SOUTH NEWARK BASIN, EVALUATING THE PRACTICAL RESOURCE RECOVERY IMPLICATIONS OF THE REPORT UNDER SUBSECTION (A) AND THE FISCAL IMPACT OF OIL AND GAS OPERATIONS ON THE SOUTH NEWARK BASIN. 1607-E(B)(2) LEGISLATION AUTHORIZES THE GOVERNING BODY OF A COUNTY SITUATED IN WHOLE OR IN PART WITHIN THE SOUTH NEWARK BASIN THAT HAS SPUD A GAS WELL LOCATED WITHIN ITS BORDERS TO ELECT WHETHER TO IMPOSE A FEE ON GAS WELLS PURSUANT TO 5 PA.C.S. CH. 23 (RELATING TO UNCONVENTIONAL GAS WELL FEE). 1607-E(C) EXPIRATION.–THIS SECTION SHALL EXPIRE JANUARY 1, 2018. Gallery | This entry was posted in HydroFracking and tagged animal, ban, berks county, blog, breaking news, cognitive dissonance example, dep, environment, fracking, fracktivist, government, hydraulic fracturing, hydrofracking, local, map, mcilhinney, montgomery county, moratorium, nature, news, pa, pa senate, pet, political humor, politics, review, sb1263, south newark basin. Bookmark the permalink. 6 Responses to Dissonance over PA’s partial moratorium on shale drilling? Let the dog speak! Love the picture and the education. Good luck with the campaign. True dat. The worst thing we could do is fight the moratorium and have our words used back against us. It’s obvious the thing is to use their words against them! I bow wow to you, Ada. You are wise beyond your dog years…except about weird-looking animals with spikey fur. As I live in Montgomery County and have a private water well, I am thankful for the moratorium. It gives me time to prepare for the NGI’s invasion. So first Jesse White was FOR drilling (while he was taking their campaign money). Then he was kind of for it as long as his districts would get something out of it. Then he was kind of against it. So now he’s totally against it? He wants a moratorium everywhere? Or he doesn’t want one anywhere. I’m confused as to what his position is. But I’m not confused about his supporters. one of them wrote about those “Mexicans” in her town and that’s why she isn’t going to a festival. But White doesn’t say a word. That’s curious. Honestly, I’m just not sure, Diego. But, I do know that he voted against Act 13 and that he recently stated on Facebook that he is against Act 13… but, he is opposed to the temporary moratorium. Not that that clears up any of your questions! A small rag-tag group of concerned Pennsylvanians are riding their bikes to the rally in DC on July 28th. They are taking water from contaminated wells and the stories of the people affected by the drilling. Their website is tourdefrack.com, and they could use some encouragement. Unfortunately, my human is leaving me at home. I guess I’m not allowed in the Capitol. Thanks for keeping Pennsylvanians informed!